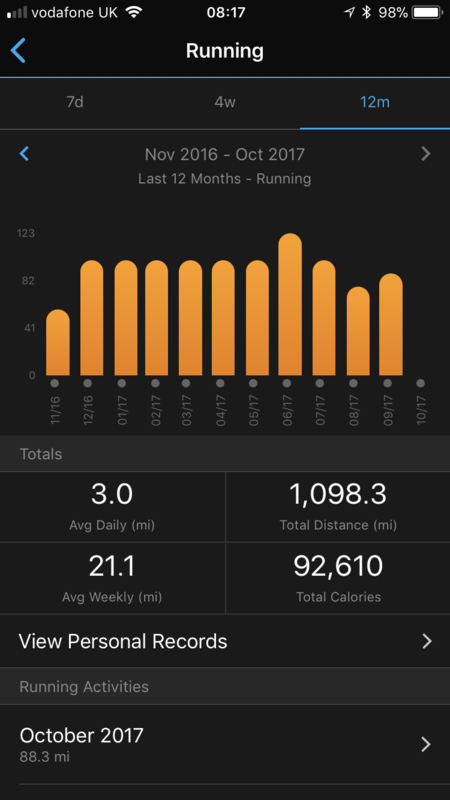 As you probably know, I’ve challenged myself to run 100 miles a month this year, and made it an average goal for the months of July and September when I went way ahead of target in July (123 miles) and was on holiday in September (77). I’m on target for October and no doubt will do it in November and December, and my annual mileage graph will be a straight line with a couple of blips in it. 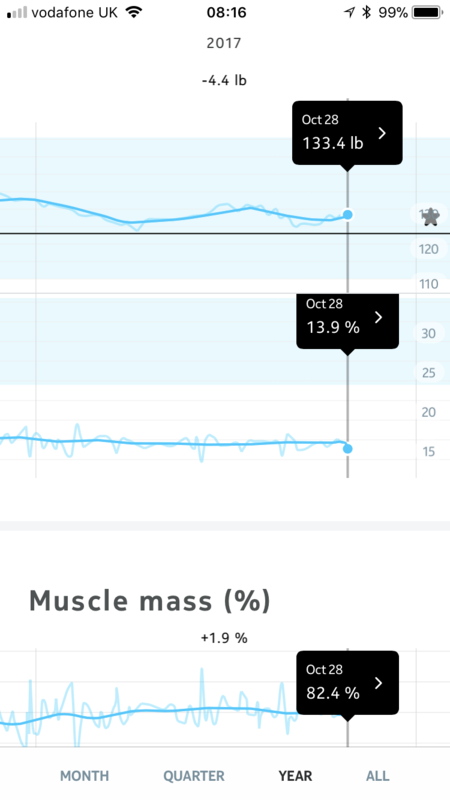 I was looking at my weight and body composition and how it’s changed over the last 10 months too. I began strength training a little bit in June into July, then work took over in August, holiday in September and I’ve done it once a week in October. 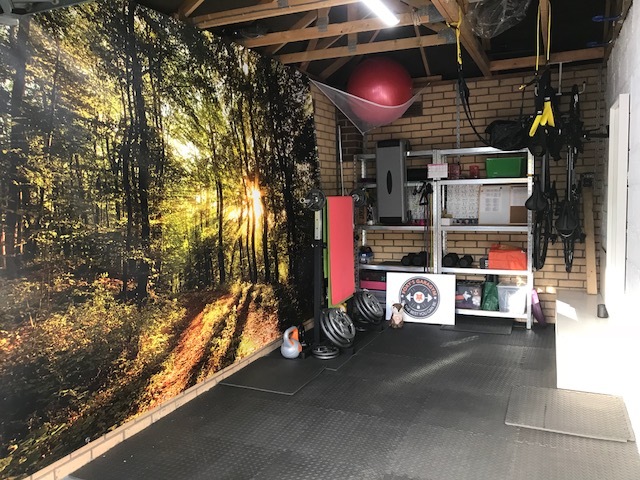 I’m going to make an effort to really get back into it over winter, and get into and use my Garagym. 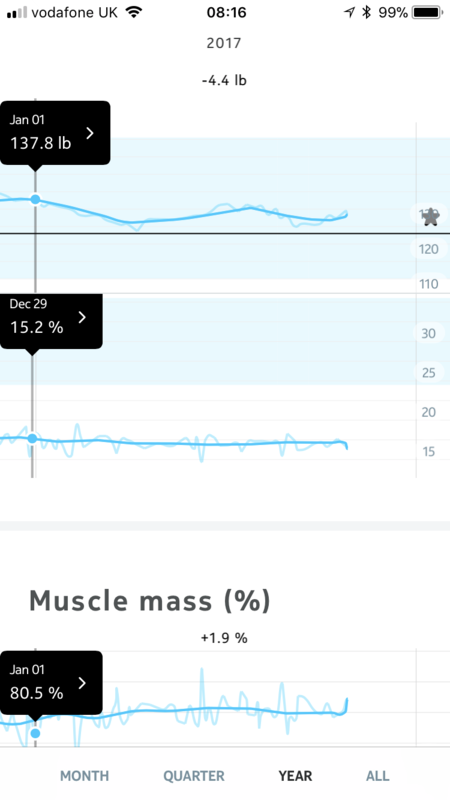 My measurements were taken in January after 3 months of not much running / letting my feet recover from lots of running. 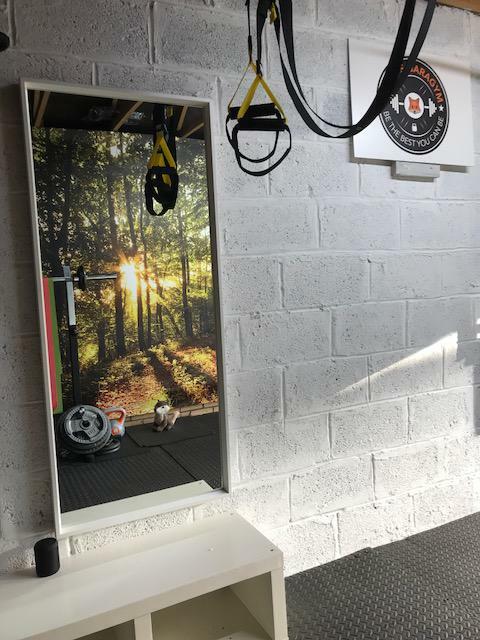 I feel good right now and I’m looking forward to spending more time in the gym, whilst ticking away with my 100 mile running target.